Vibrant Universal Mufflers - Race UNIVERSAL - MiataRoadster - Stay tuned with MiataRoadster! Tracks all over North America now require racers to install some form of sound reduction equipment on their race vehicles. 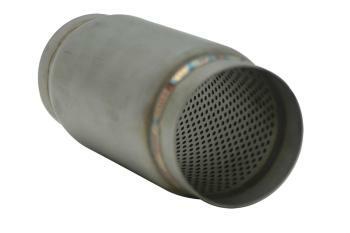 Vibrant Performance Race Mufflers are designed to help reduce noise levels produced by high performance vehicles. They feature Vibrant’s unrestricted “True Straight Through” perforated internals to avoid performance loss.